Add the imageCLASS MF3240 to your workspace. This compact unit occupies the same area as a stand-alone printer, but is actually a laser printer, copier, color scanner and fax all-in-one. The imageCLASS MF3240 generates fast, high-quality laser documents at a fast 21 pages-per-minute. The 250-sheet front loading paper cassette and Single Cartridge System create effortless replenishing for continuous output. 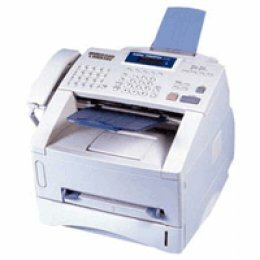 The imageCLASS MF3240 can quickly send and receive faxes using the built-in 33.6 Kbps Super G3 fax modem and incorporates a strong list of fax features, including eight one-touch speed dial numbers, 100 coded speed dial numbers, 256-page fax reception memory capacity, sequential broadcasting and activity reports. Optimized for speed, your projects will be accelerated with a USB 2.0 Hi-Speed interface. 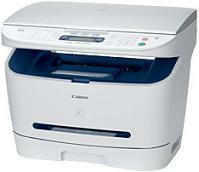 An optional external print server is available for increased productivity of your small office group. For added productivity the imageCLASS MF3240 is equipped with color scanning and scanning software. Accepting originals up to 8.5" x 11.7" on the platen glass, you can transfer hardcopy documents into editable text on the PC using ScanSoft OmniPage SE Optical Character Recognition (OCR) software, or filed systematically with NewSoft and Presto! Page-Manager. Either Way, your scans will be achieved with optical resolution of up to 600 dpi, and an enhanced resolution of up to 9600 dpi. Color depth of up to 24-bit internal/24-bit output to help ensure scans are faithful to original documents. The imageCLASS MF3240 not only produces outstanding output, it also has a stylish appearance that complements any small or home office.